While these objects look like they are in front of your eye, they are actually floating inside it. What you see are the shadows they cast on the retina, the layer of cells lining the back of the eye that senses light and allows you to see. 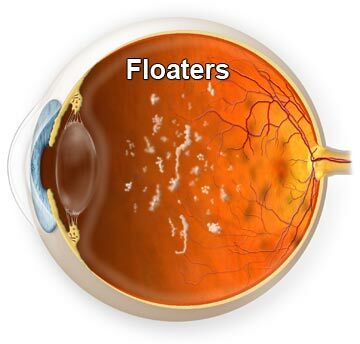 Floaters can appear as different shapes, such as little dots, circles, lines, clouds, or cobwebs.